Up until last week I hadn’t seen Wolf Rilla’s Village of the Damned since the mid-90s, when I went on a massive VHS spending spree and snagged a copy from a mom & pop rental shop closing its doors. To be honest, I remembered little about the film, other than the fact that I found it to be a creepy affair. A reunion with this now-57-year-old flick has left my eyes opened wide. The movie is stellar, and surprisingly edgy for 1960. The basic idea behind the plot is fairly well known among genre fans: A small village experiences a strange blackout phase; everyone drops, unconscious for a stretch of hours. When they awake all seems a tad bit off. Fast forward and a series of women from the village are giving birth – all of whom became pregnant unexpectedly, and seemingly in the time frame of the blackout. When the children come popping out, the local doctor immediately notices some strange characteristics. Their eyes are different, what hair they have is a strange platinum. A year flies by and the parents begin noticing even more changes: the children all seem to share a hyper intelligence, and as the days fly by, and the youngsters quickly grow to be a few years older, their awkward behavior can no longer be ignored, as it’s obvious that they think and operate as a true single unit… and they can read minds, and even worse, influence the actions of the now leery villagers. What can be done to stop the sudden aggression the children are exhibiting? Given their remarkable intelligence, the question shifts and a series of desperate adults find themselves struggling with overcoming the children’s sinister gifts. Is the village doomed, or can these mysterious little ones be outsmarted? It’s a fantastic story, and the manner in which Rilla and co-writers Ronald Kinnoch (as George Barclay) and Stirling Silliphant (who adapt John Wyndham’s novel) hint at otherworldly origins and threats is beautifully subtle. In a time when science fiction and alien invasion films still burned bright on big screens, this trio gives us a familiar theme with an extremely unique approach. Instead of blatantly thrusting aliens or mutations down our throats, we get children, generally cute kids, with some creepy little physiognomies, beginning an unsuspected and absolutely savage (there’s one scene that involves a man and his shotgun, and it’s brutal by today’s standards… it’s hard to imagine the impact of that scene in 1960) overtaking of earth in a small English village. It may not seem the most original of ideas in 2017, but in 1960, that was truly savvy storytelling. It was inventiveness in an age that craved change, as the shifting direction of the genre would soon show us. I respect the cast’s work, as the entire ensemble is refined and comfortable on set. If I do have a single complaint, it’s that the gorgeous (and these days terribly overlooked) Barbara Shelley was cast as wife to leading man, George Sanders. When Village of the Damned was released, Shelley was 28 and Sanders was 54, nearly twice Shelley’s age. It looks a little strange onscreen, especially as Michael Gwynn, a full decade Sanders’ junior, is directly in the mix, sharing a large chunk of scenes with the two, and occasionally looking as though there’s a genuine chemistry between himself and Shelley. That feels… unintentionally uncomfortable in a few instances, though I wouldn’t consider it enough to damage the film as a whole. The ending strikes swift and clean. It’s so swift in fact, it’s likely to really catch you off-guard. Unless you’ve been eyeing the film’s runtime, it descends on viewers in a blink, there’s little in the way of extended build-up. You’re likely to find yourself smack dab in the middle of the big climax and not realize where you are until the final spin in the story hits us with Tyson-like force. It’s a shocker, and a damn rewarding one at that. 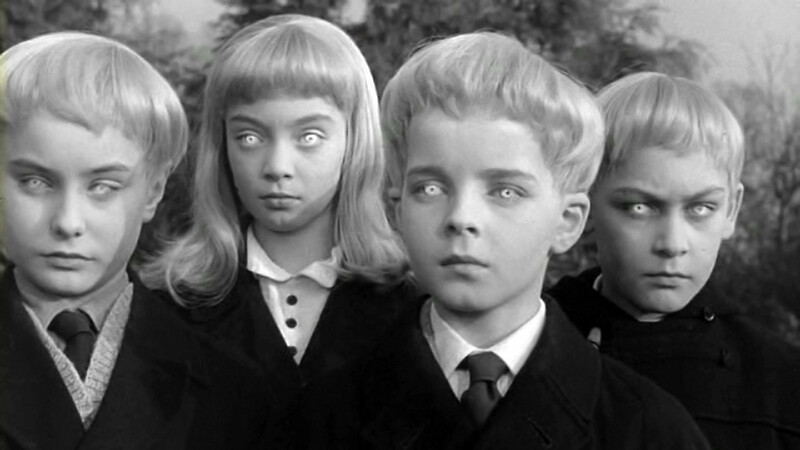 Whether you can call yourself a fan of vintage film or not, Village of the Damned is one of those movies that truly deserves a chance, especially among younger viewers. It’s a reminder that simpler times still produced crafty filmmaking and ingenuity in storytelling, especially in the sci-fi/horror realms. There are plenty of classics that garner the love they deserve, it’s time that millennials recognized just how great the often-overlooked classic Village of the Damned is.